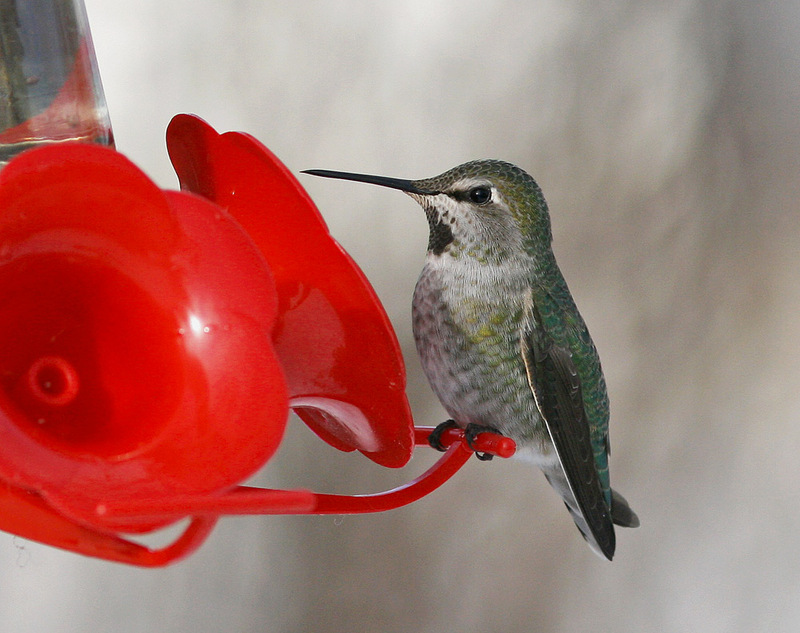 This female Anna’s Hummingbird survived well into February 2011 at a feeder in Brownsdale, Trinity Bay – the first record for Newfoundland and one of very few for eastern Canada. Origins: Resident along the Pacific coast from northern Mexico to northern California, breeding further north to British Columbia. 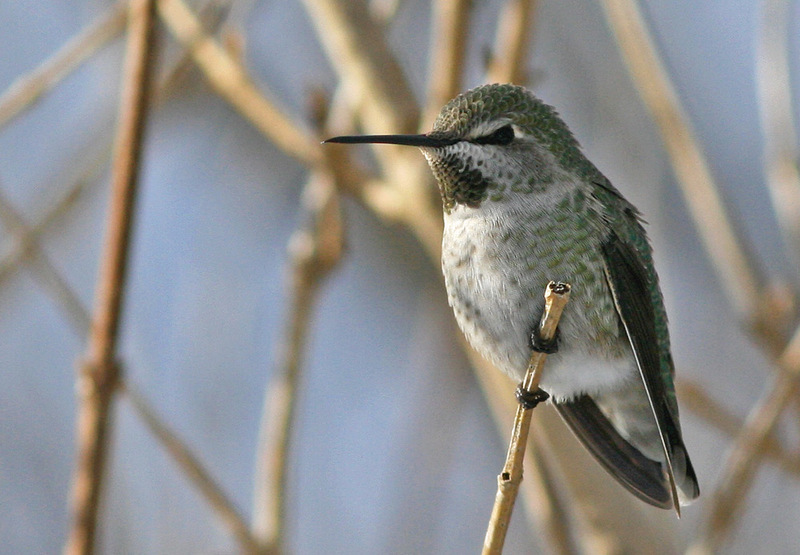 It is a rare vagrant to the east coast, very rare to eastern Canada. Record Details: One record for Newfoundland. 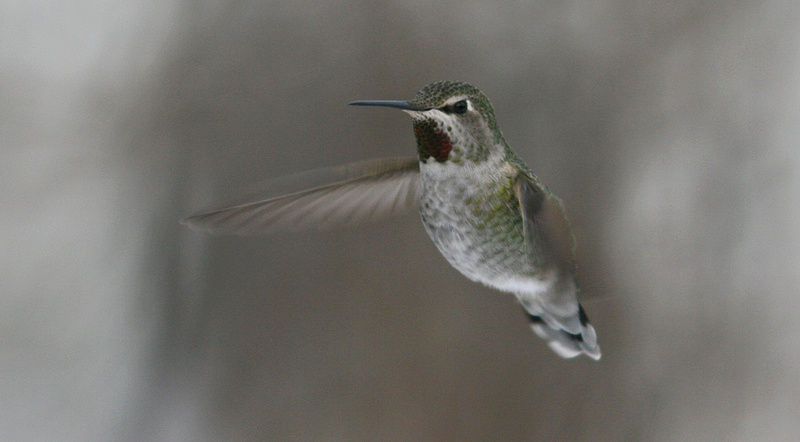 Incredibly, an apparent adult female first reported at a feeder in Brownsdale, Trinity Bay in January 2011 had been present for many weeks and survived until February 7 (one of the coldest days of that winter).